This last weekend was a very special event held in Kitchener Waterloo. In previous years the competition was known as the KW Classic. The KW Diving Club decided to change the name of this competition to honour the passing of KW diver CJ Moore. CJ was a lifelong friend of mine and I had the honour of competing against him towards the end of my diving career in 2010. In CJ’s early career he was named to the 2007 Pan Am Junior Team and from there earned some serious recognition around the country for his diving abilities. By the age of 18 he had the hardest 10m tower list in the country, this is including our Olympians. He was one of the only divers doing a front 4.5 somersaults in tuck from the 10m. After taking a break from diving to pursue his University degree he had decided he was ready to make a comeback to the sport of diving and work towards the Tokyo 2020 Olympic Games. Shortly before his passing he decided to get a tattoo of a phoenix to symbolize rebirth from the ashes and to begin what would have been an extraordinary chapter in his life. CJ tragically passed away last August and this the Phoenix Invitational is part of the legacy that he is leaving behind to inspire a new generation of athletes to follow their diving dreams. Some of our older/veteran athletes attending this Phoenix Invitational had the privilege to know and dive with CJ and it was a very special weekend for them. We continue our spectacular results with one of our youngest, Emilie. Emilie had well surpassed our expectations for this competition and has already been working on next year’s dives for some time now. She is coming home from the competition with TWO GOLD MEDALS! 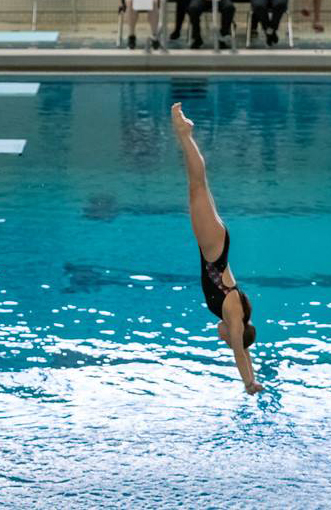 She finished ahead of the competition by 20 points diving for nearly straight 7’s and 8’s throughout the weekend. Congratulations Emilie! Next we have Ava. This was Ava’s second diving competition in her young career and she competed in the “C” category of Aspire 1. 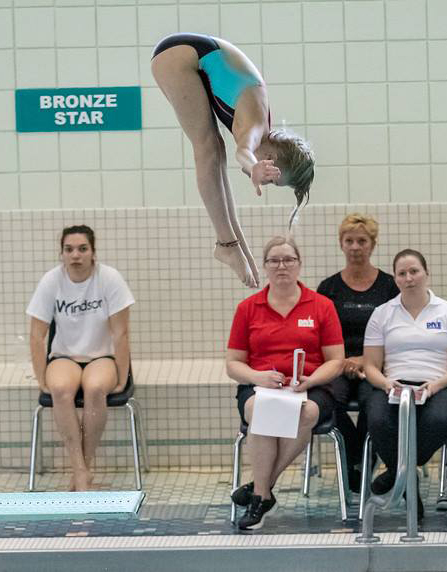 She competed on the 3m and tower events and brought home TWO SILVER MEDALS. 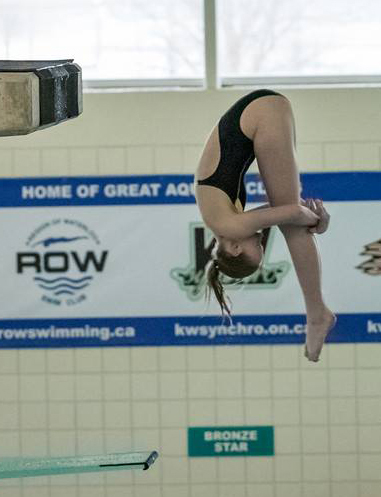 Her hard work is paying off and she is ready to work like crazy to get her dive list ready for the Aspire provincials! Congratulations Ava! Our next athlete is Olivia! 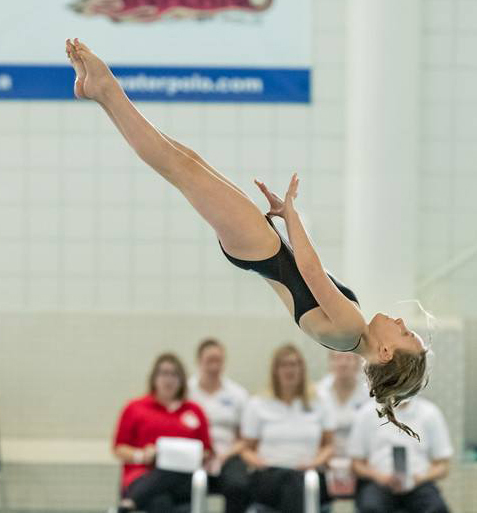 Transferring over from gymnastics last summer Olivia quickly took to the sport of diving and competed on all three events over the weekend in both Aspire 1 and 2. She is coming home with one SILVER MEDAL, one BRONZE medal and one 4th place finish. Olivia is quickly climbing the podium and has her bar set high for the Aspire provincials in May. Congratulations Olivia! Next we have Valentina. Valentina came to us over the summer from Vancouver BC and moved to Ottawa to dive with Ottawa National. Coach Mary quickly took her under her wing and she has learned a lot in such a short amount of time. Her hard work pays off this weekend with one GOLD MEDAL and one SILVER MEDAL on the 1m and 3m board events respectively. Congratulations Valentina! Finally our veteran of our Aspire program, Caelly! Caelly continues to work hard each practice and has added different components to her weekly training. Over the course of the weekend she was untouchable. She finished with TWO GOLD MEDALS on the 1m and 3m events. She did not compete tower at the competition because she is already diving from the 7m platform and the KW pool only has a 5m. She bested the competition by 16 points on 1m and nearly 50 points on 3m. Congratulations on your weekend Caelly! 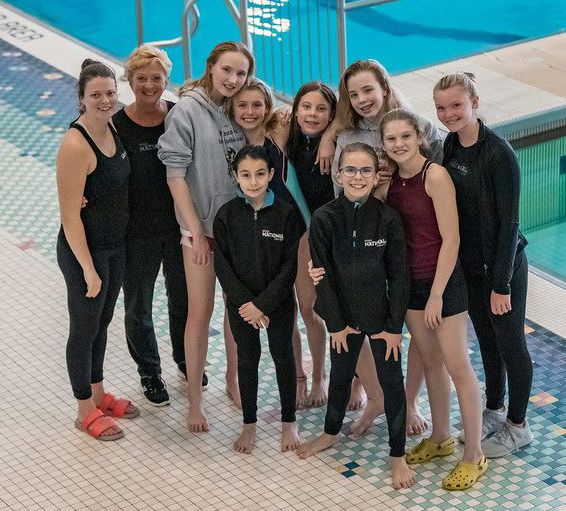 A huge thank you to the KW diving club for always putting on one of the best Aspire level competitions. We also want to thank you for the awesome t-shirts you gave all the gold medal winners. The kids love them! Another huge thank you to coach Mary and Grace for your hard work and dedication to helping these athletes succeed. Looks like to are on a great pace as we being our training for the Aspire Provincial at the end of May!